Thread: How to Ensure SATA III TRIM on X58A-UD3R, Intel 510 6GB/s SSD, Marvell 9128? Re: How to Ensure SATA III TRIM on X58A-UD3R, Intel 510 6GB/s SSD, Marvell 9128? Ya, Marvel 9182 is MUCH better than the old 9128! That controller is what they should have released long ago when 6Gb/s first came out on motherboards, but I guess they didn't have it made back then probably. 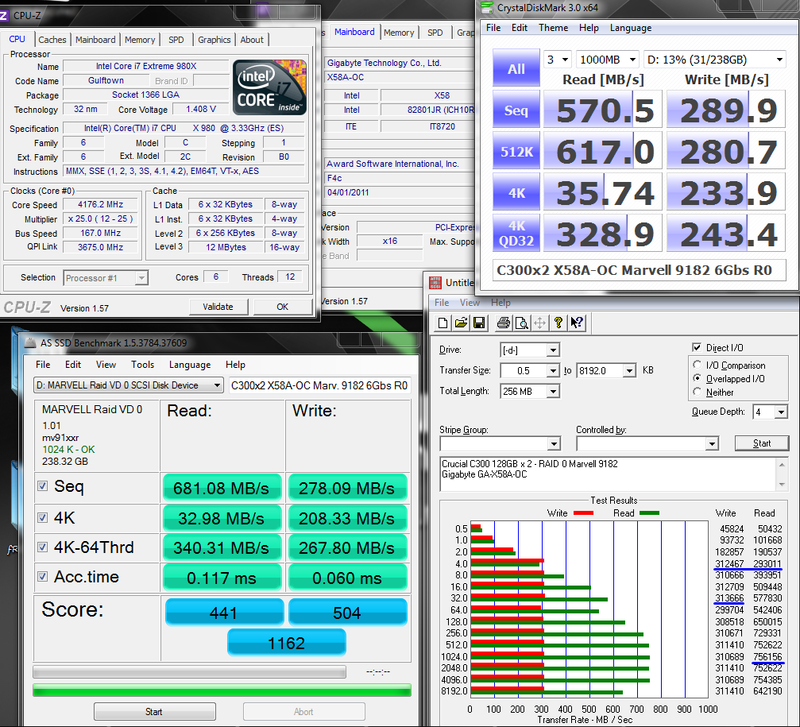 Check out my RAID results with C300 and 9182!